As a young entrepreneur interested in fitness training, charities, business, and beyond, Spencer Schneider has also developed recent interests in technology and the electric car industry. The world of electric cars is constantly moving but usually at a thirty minute per a couple hundred-mile charge pace. Well that landscape is about to change. 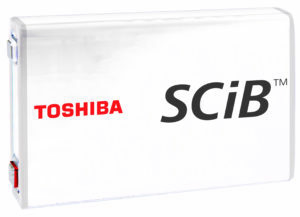 In late 2017 Toshiba, one of the world’s leading companies in electronic engineering, released news of their new generation of SCiB™ batteries. The SCiB™, or Super Charge Ion Battery in its current generation, will have enough juice to travel just under two hundred kilometers, or about one hundred and twenty-four miles with just a six-minute charge. The typical lithium ion battery can reach that distance with at least a twelve-minute charge. For extensive road trips or a hefty commute, the typical lithium ion battery might as well go for the thirty-minute charge which will bring the distance up to about two hundred and fifty kilometers, or one hundred and fifty-five miles. With its newest generation though, Toshiba has sparked a new flame in the electric car scene. With this new generation of SCiB™, a six-minute charge can power the car up to over three hundred kilometers. That’s about a hundred and eighty-six miles, three times the distance of a normal lithium ion battery whose distance is just under a hundred kilometers. With a six-minute charge you can get from San Francisco, California to Carson City, Nevada. But How? What Battery Witchcraft or Wizardry Did They Use? Well, according to the press release, Toshiba “employs a lithium titanium oxide anode” that supposedly gives the battery a longer life, essentially doubling the capacity of current lithium-ion batteries. In short, it’s just a well-made quality battery. It’s not even just going to be implemented in electric cars either, but batteries like these have “found wide use in vehicles and industrial and infrastructure applications, including buses, railroad cars, elevators, and power plants.” Toshiba is currently putting it through the runs and ladders, hoping to commercialize it by 2019. So far, they can even guarantee a long life and a fast recharge in low temperatures. Albeit, at a ten-minute recharge compared to the six in 10° Celsius, which is 50° Fahrenheit. They also confirmed that the battery manages to retain “over ninety percent of its initial capacity after being put through five hundred charges/discharges cycles.” If this new SCiB™ lives up to all its boasting, then the electric car industry is going to have a big game changer on the market soon, either way it’s one major step forward to having entirely green cars and a peek at how crazy they’ll be in the years to come. 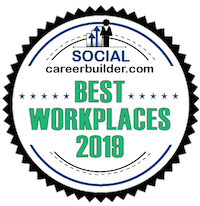 Spencer Schneider is eager to see how this new technology will end up impacting our society, our professional careers, and personal lives as we enter into what many are calling the Fourth Industrial Revolution. Toshiba new super charge Ion battery is going to be a game changer for electric cars as the time to re-charge decreases and the distance increase you will see more and more people buying these type of cars.